7 people died in construction accidents in New York City since the beginning of the year. This is almost as many as during all of 2014 a year during which 8 fatal construction accidents were recorded. A 22 year old construction worker died on April 6th at a construction site where the restaurant Pastis used to be in the meatpacking district. 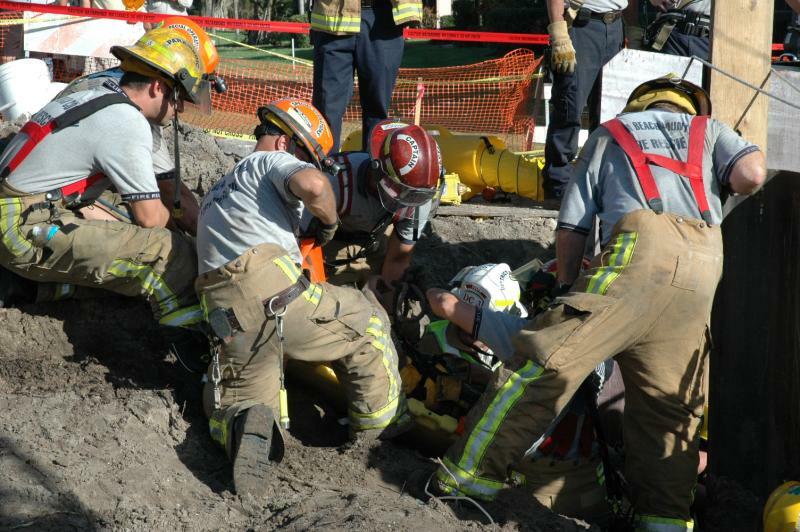 The young worker was digging below the foundation of the building when dirt fell on him and buried him up to his neck. He was rushed to the hospital in critical condition and pronounced dead upon his arrival. A day later 4 construction workers suffered serious personal injury during an accident at a demolition site located at 331 Madison Avenue near 43rd street. A chandelier and a heavy marble banister collapsed on the workers after they fell from a height of about two stories while doing interior demolition. The week before a construction worker fell to his death in Brighton Beach. Two people—not workers—died after a suspicious explosion this week in an apartment building where plumbers were working on gas lines. In March a pedestrian died after being hit by a piece of plywood that detached from a construction site security fence . In February a construction worker installing grass on the Barclay Center in Brooklyn was crushed to death by falling beams and in January another worker fell to his death down an elevator shaft on the Upper West Side. According to Crain’s New York, 19 people died in construction accidents in 2008 during the last real estate boom in New York City. When comparing the number of construction-related accidents and deaths in 2014 with 2008, the figures show that construction sites aren’t necessarily getting any safer. Though there has been a dramatic drop in deaths, from 19 in 2008 to eight in 2014, the number of accidents has spiked to 231 from 151 over the same time period, a jump of more than 50%. Last year, the city issued about 142,000 building permits, up 20% from 2008. Combined with the deaths-to-date this year, the potential for increasing construction activity “puts this year on track to be another fatal one,” Crain’s reported.